Since we moved to England from Italy, one of the things that my children have missed us making regularly is bruschetta. Usually I either made bruschetta with olive oil, garlic and salt or bruschetta with diced tomato, olive oil and salt. When I was presented with the opportunity to promote some Italian recipes and amongst them was a bruschetta one, I was very keen. 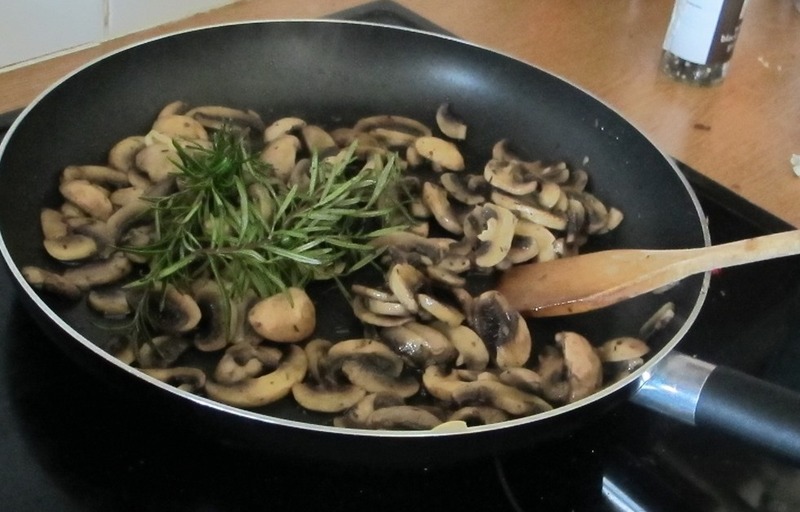 · Heat the oil in a frying pan over a high heat and when hot, add the garlic, thyme, rosemary, salt and pepper. Fry for just a minute and then add the mushrooms. · Cook on a high heat, tossing or stirring frequently. When the water from the mushrooms has evaporated, and they have become browned and slightly crisp, they are ready. · Allow mushrooms to cool then puree with a blender or food processor, adding cream and butter, then return to the heat and cook for a further 2-3 minutes, checking the seasoning. 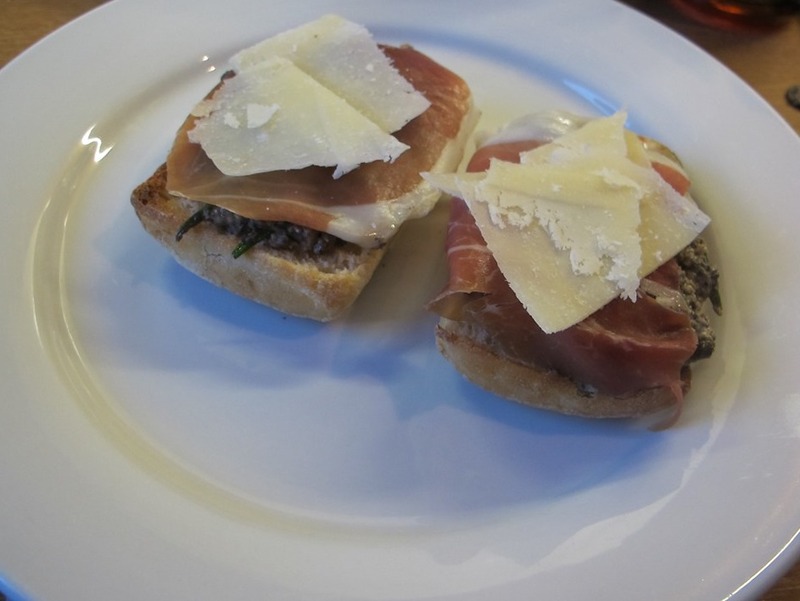 · Spread mushroom puree over toasted bruschetta then place San Daniele slices and Grana Padano shavings on top to serve. For more information and suggestions on how to enjoy Prosciutto di San Daniele and Grana Padano Cheese, including recipes from the renowned chef, Giancarlo Caldesi, visit www.prosciuttosandaniele.it and www.granapadano.it. Disclaimer: I used another type of prosciutto from Parma as San Daniele was not stocked in the supermarket where I did my shopping. I did use Grana Padano cheese. I also doubled the ingredients. This recipe was absolutely delicious and my family loved it (apart from my non-loving mushroom son who contented himself with the extra prosciutto in a bread roll). This entry was posted in Food, Italy by Cathy Powell. Bookmark the permalink.